A topper in patinaed copper on the mansard roof of 150 Central Park South will be converted into a triplex penthouse condo by our friends at SPAN Architecture. The famed 37-storey, limestone clad building, atop which it will sit, and which is known as Hampshire House, was completed in 1937, and is characterized by a distinctive series of cascading terraces on its northern facade, as well as its two chimneys. Though it is a famous building it is not listed as a landmark, and this permits the team to undertake extensive interior alterations there, including the addition of two storeys and the carving out of a 40′ window in the roof. The project came about when Peter Pelsinski of SPAN discovered that the topper, which housed the building’s mechanical systems, could be converted into two new floors with towering 14′ ceilings. 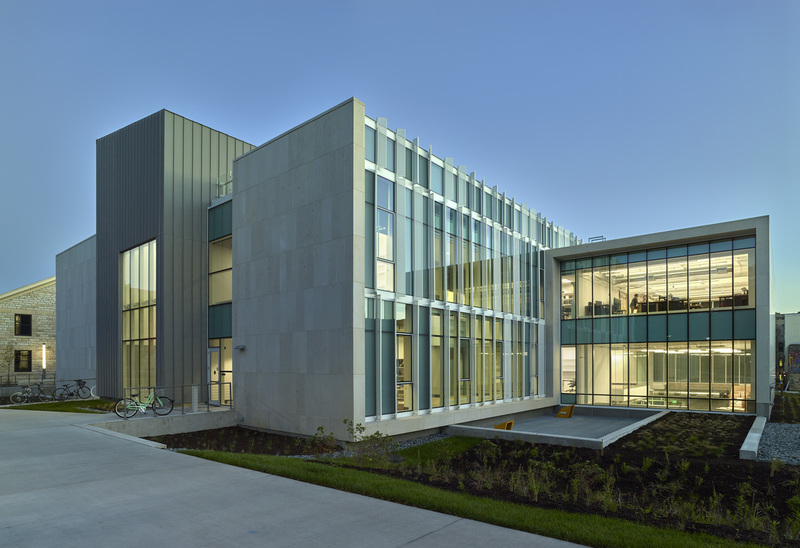 For Kansas State University, which has recently spearheaded an initiative to poise designers as “instruments for positive social change,” our friends at Ennead Architects, in collaboration with the Kansas City-based BNIM, have designed the College of Architecture, Planning and Design. The plan was conceived with a view towards creating an environment conducive to supporting curriculum newly adopted by the college, which trains future A+D professionals to learn how to connect with design through interdisciplinary collaboration as well as direct fabrication. And so, to this end, the interior architecture of the project permits a vast array of opportunities for communication across Architecture, Landscape Architecture/Regional and Community Planning, Interior Architecture and Product Design departments, as well as departments related. Arrayed round a three-storey atrium, called the “Collaboration Corridor”, are studios, crit spaces—rooms which enable students and professors to critique work in an interactive and flexible learning space,—exhibition areas, and offices for faculty. The recently completed new home for the French International School in Tseung Kwan O district in central Hong Kong was designed by our friends at Henning Larsen. It measures nearly 211,K SqFt, and is an active and open learning environment which can accommodate over 1,000 grade school students. 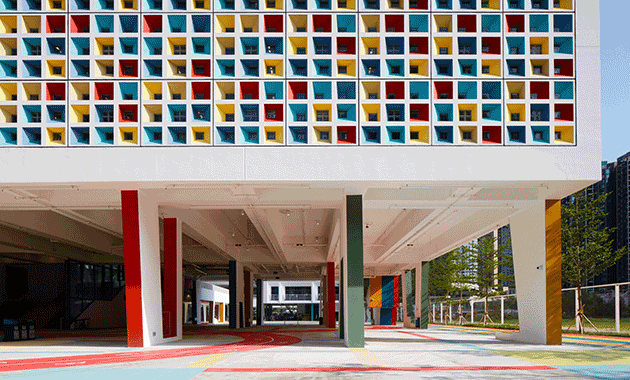 The colorful facade features 627 ceramic tiles which, when struck by sunlight, create a kaleidoscope effect. The design integrates conventionally laid out classrooms and corridors with large, open communal spaces known as “Villas;” these are equipped to host 125 students, and each can be opened up to join another Villa adjacent to create an even more expansive collaborative space. In keeping with the School’s sustainability goals, natural light plays a major role in the interiors, while brise-soleil sun shades protect against solar gain. The project also includes a nearly 6,K SqFt botanical garden with multi-storey hanging gardens. At 210,K SqFt, the “Unisphere” is the single largest site-powered, net zero commercial structure in the United States. 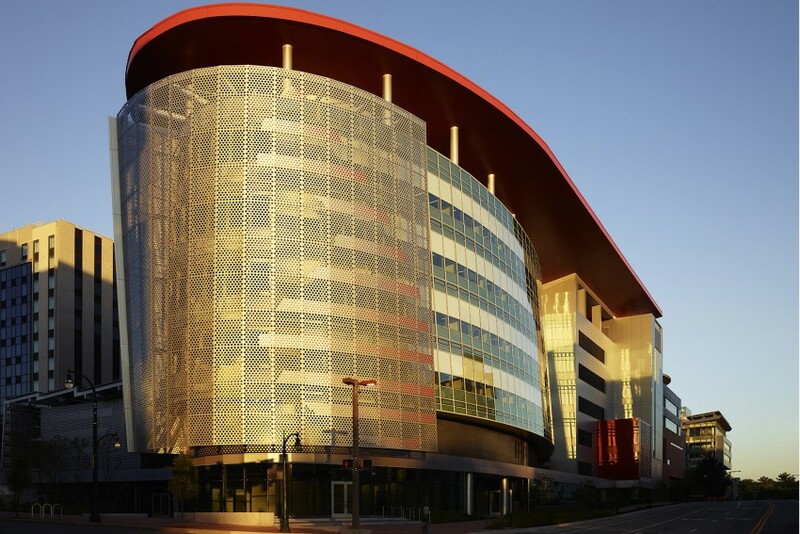 Designed by our friends at EwingCole, it houses clinical facilities for the treatment of pulmonary disease, heart failure, and organ transplantation, as well as a virtual drug development lab. The building employs multiple strategies in order to sustain itself, and has no operational carbon footprint because its energy is renewed onsite: among others, 3,000 photovoltaic panels generate 1,175 MWH of energy each year; a quarter-mile-long concrete maze called the “Earth Labyrinth”, located twelve feet below the complex, acts as a natural ventilation system, moderating indoor temperatures; also beneath the complex, 52 geo-exchange wells, 500′ deep, are used to store energy; also, windows in office areas are made of electrochromic glass which self-adjust their tints level according to the change of seasons, location of the sun, and cloud coverage. NYC audio post-production company and recording studio Sonic Union has enlisted the services of our friends at Revamp Interior Design to create a new working home for its team of sound designers, engineers, creative producers, and composers; to do so became necessary when the company grew too big for its original Union Square home. 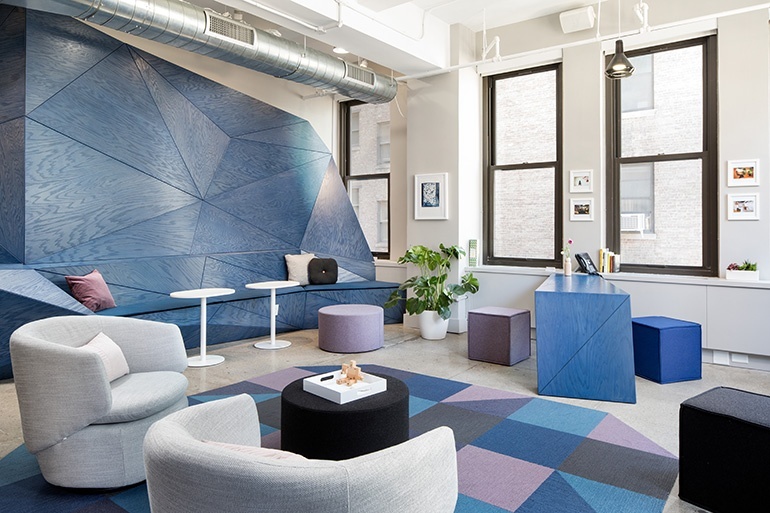 To the origami benches in the company’s new bright blue plywood-clad home, the firm added felt seat cushions and colorful throw pillows, as well as loose seating, tables and carpet tiles, referencing the patterns of the cladding. The space features four studios and three vocal booths; for the wall and ceiling of each of was installed a wall-to-wall stretched fabric acoustical track system. This was a necessary structural feature of the studios due to their function and necessarily constrained the design team in terms of creativity of material intervention; nevertheless, they still managed this, introducing to these spaces a scheme of fuschia plastic film and yellow tiles. LAGI 2018, the Land Art Generator Initiative competition in Melbourne, is an international contest which invites designers to create large-scale, site-specific public art that generates clean renewable energy for the city. For their submission, our friends at Olson Kundig have designed a gargantuan solar sail which can produce 1,000 megawatt-hours of clean energy. Called “Night and Day” it is powered by solar energy and pumped hydroelectric energy storage. The Land Art Generator Initiative was launched as part of Victoria State’s Renewable Energy Action Plan to meet Melbourne’s 2020 net-zero energy goals. 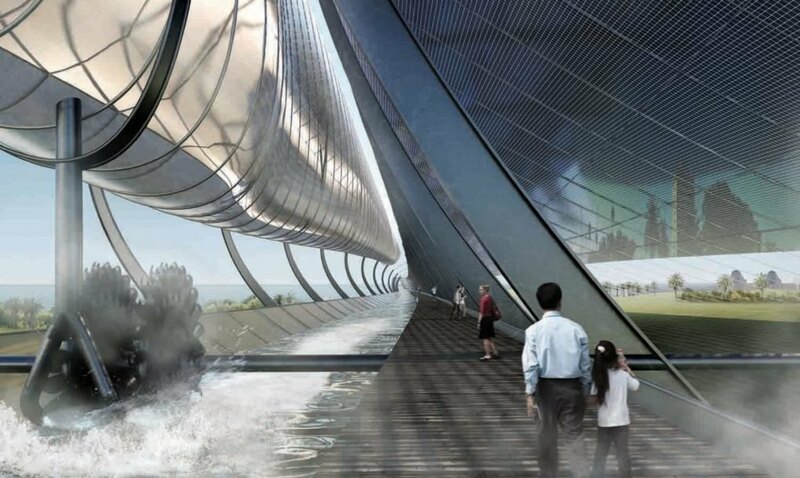 This power plant project is proposed for St. Kilda Triangle on Port Phillip Bay, and if implemented could power as many as 200 homes 24 hours per day without creating emissions: in the daytime, the photovoltaic panel-clad curved sail would collect energy, which then powers a pump that channels water into a suspended hydro battery. The former Roseland Ballroom has been replaced by a rental tower designed by our friends at CetraRuddy Architects which has now launched leasing. 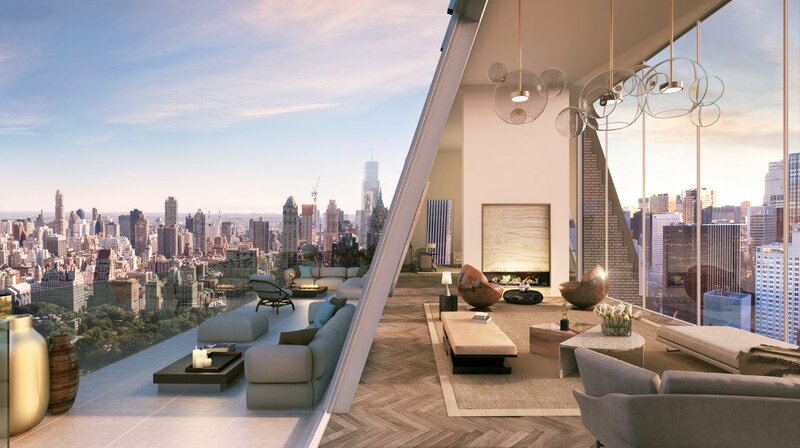 The 62-storey building at 242 West 53rd Street, known as “ARO”, contains 426 apartments ranging from studios to three-bedroom apartments, starting at $2,900/month; it was also feature a four-bedroom duplex penthouse. 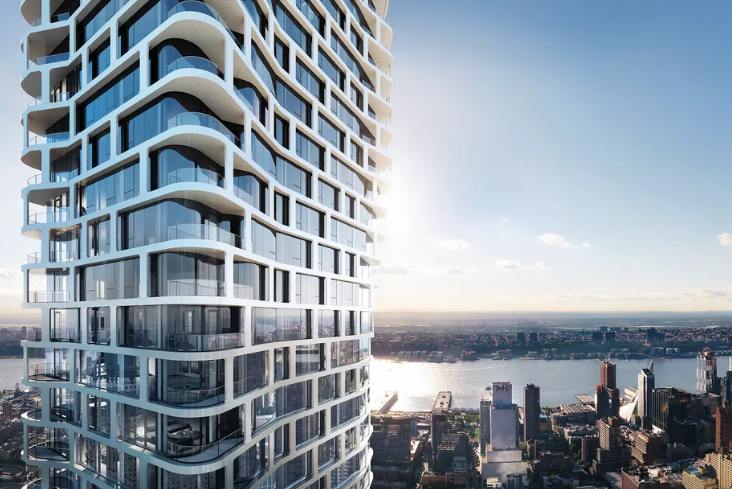 All apartments will feature floor-to-ceiling windows, oak floors, 10′ ceilings, quartz countertops, stainless steel appliances; all bathrooms, Carrara marble floors and Dolomiti marble tiled walls. Amenities are expansive, spanning multiple floors, indoors and out, and include the ARO Club, which features game rooms, an indoor swimming pool, a half-size basketball court, golf simulator &al. 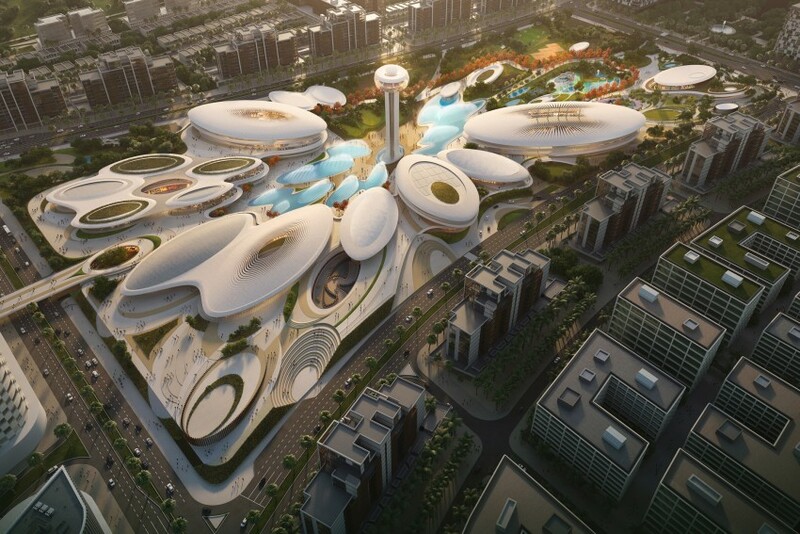 Phase One of the Central Hub in Sharjah, designed by our friends at Zaha Hadid Architects, will be completed in the first quarter of 2019: it is the central concept of the $6.5B Aljada development in Sharjah, United Arab Emirates, a major transformational project for a city widely considered the Emirates’ cultural capital: its third largest and most populous. Integral to the design concept for the Central Hub is, in the architects’ own words, “The first moment a water droplet strikes the earth’s surface:” this is reflected in the complex’ array of buildings elliptically shaped to channel winds into public spaces and courtyards, allowing for a system of natural cooling; all told the Central Hub spans just under 2M SqFt, and includes sustainable features for irrigating recovered and recycled water, sustaining a microclimate for its exhaustive gardens, as well as solar-powered lighting solutions. A former Ford Model T factory and army missile manufacturing facility in Charlotte will, through the intervention of our friends at S9 Architecture, be transformed into a major hub of creativity and innovation for the city, to be called Camp North End. Just northeast of the city’s downtown area, the development will feature 1.8M SqFt of office, retail, and event space and will be built around the historic factory which was built in the early nineteenth-century. The site was purchased by developer ATCO Properties in 2016 and opened to the public last year. 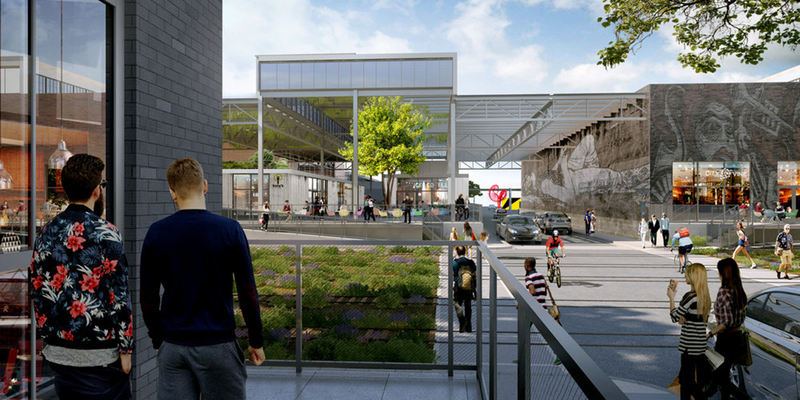 S9’s master plan for camp North End sees the 76-acre campus transformed into a sustainable complex for long term occupancy by a variety of businesses, based around adaptive reuse of 12 buildings, in between each of which will be laid out gathering spaces where people can dine, socialize or hold events. At the corner of Prince Street and Mott Street in Nolita, our friends at Marvel Architects have converted New York’s oldest parochial school, part of Old St. Patrick’s Cathedral Campus, into modern residential units. The adaptive reuse project saw the creation of seven condos and two townhouses, as well as a multipurpose communal space for the Cathedral Campus. Features of the original Federal-style 1820 building were left intact, while those from subsequent additions and renovations were stripped away. For this project the firm undertook a comprehensive analysis of the building’s history, which allowed them to identify the various expansions undertaken there in the last 200 years and which guided them in their realization of the structure’s latest machination; the original physicality of the school was preserved, namely its H-shaped footprint; its western wing was transformed into a 5-storey, 8,K SqFt townhouse. 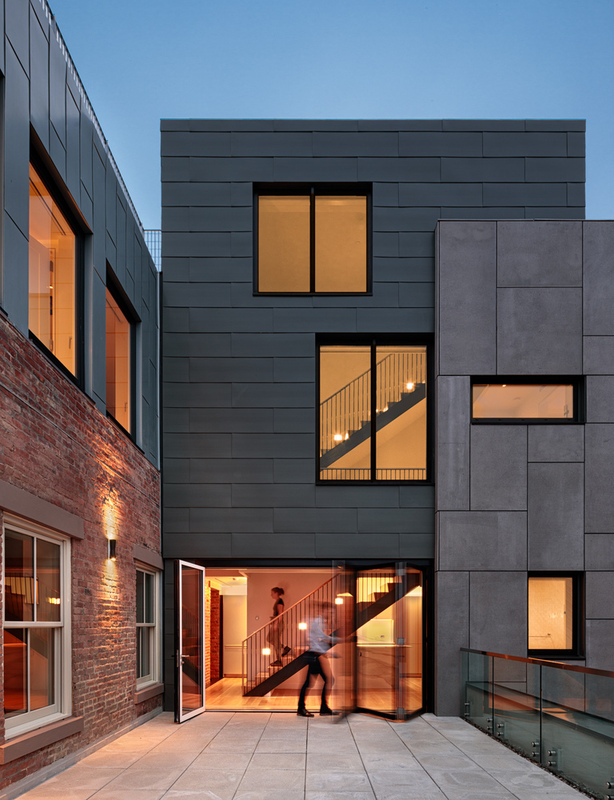 Original windows were integrated into the renovation’s new rain screen exterior.